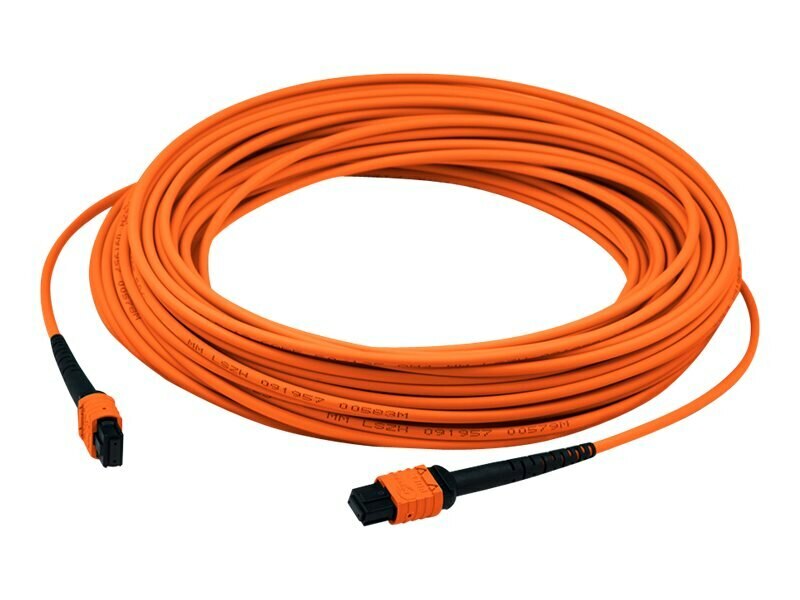 This is an 8m multi-mode fiber (MMF) female to female MPO/MPO OM1 crossover orange patch cable. Crossover cables are typically used for direct interconnect of electronic devices, and are commonly referred to as key up/key down configuration. This high-density 62.5/125 cable accommodates 12 fibers (6 duplex circuits), providing savings in circuit card and rack space.